Posted March 27, 2017, in Featured News, News. Kimberlee Moran, Director of Forensic Science and Associate Teaching Professor, poses with bones discovered at the Mount Moriah Cemetery in Philadelphia. From there, Kimberlee’s career took a dramatic turn towards the sciences and the legal system. She ultimately spent nine years in the UK. During that time, she worked with the UK police, provided training and educational programs, served as an expert witness, and helped to launch the Centre for the Forensic Sciences at UCL. In 2010, Kimberlee decided it was time to return to the US and landed at Rutgers–Camden as the manager of the Center for Computational and Integrative Biology. She quickly connected to the forensic community in the region. In addition to her daily duties, Kimberlee began teaching forensic courses under Department of Sociology, Anthropology, and Criminal Justice, started offering training programs for law enforcement, and provided activities for the Philadelphia Science Festival, the Mutter Museum, and the Franklin Institute. At that time, she saw the opportunity for Rutgers–Camden to launch a forensic initiative of its own. “We have all the subjects that feed into forensics. We’re in an area of need. And, most importantly, there were no forensic science programs in the state. Students wanting to study forensic science had to go to Pennsylvania to study,” she explains. Kimberlee feels that with Rutgers–Camden she has “been able to pursue passions, creatively engage my classroom, and launch new initiatives all within an incredibly supportive atmosphere.” With this support she is currently working on bringing an active forensic lab to the campus that will enable students to work on real forensic cases in partnership with the Department of Justice in Camden. This collaboration will give students a real world experience by allowing them to study objects and bodies taken from case study sites in the city of Camden. Once again, Kimberlee will be give her students experiences that will make them successful in their careers. 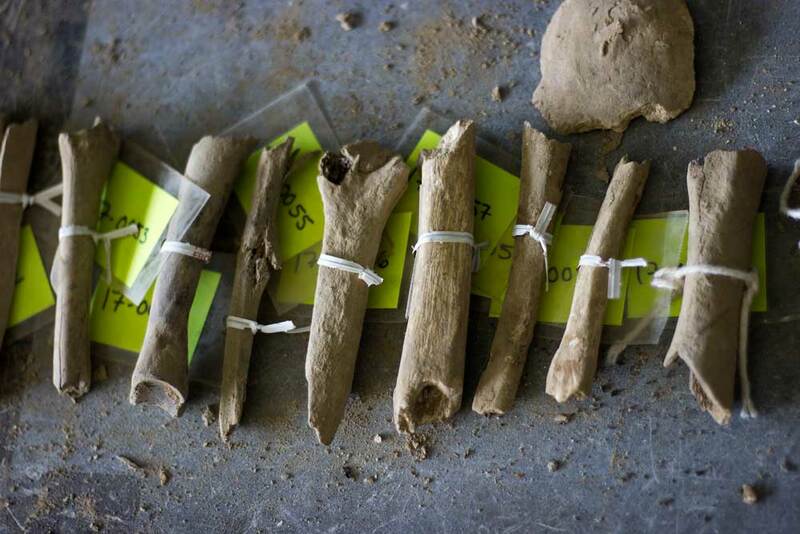 A closer depiction of bones that Kimberlee Moran, with a team of others, discovered at the Mount Moriah Cemetery. In the fall semester of 2012, she taught an experimental course called, “Special Topics in Forensic Science.” This class was known as “Whispering Woods,” a Phase II archeological survey, testing to identify boundaries, importance, and eligibility of land to determine if it can be listed as an historic landmark, on private property. The private landowner consequently asked Kimberlee for help. He gave her the permission to allow students to get involved with the project. 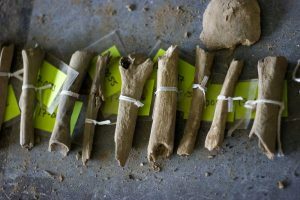 Over three semesters, “students learned how to recognize historic and prehistoric artifacts, utilize archaeological methodology to answer research questions, and gain a greater appreciation for the history of human occupation in Southern New Jersey,” Kimberlee says. This course helped students obtain jobs and internships in distinguished organizations such as the University of Pennsylvania Museum of Archaeology and Anthropology, the New Jersey State Museum, and the National Parks Service. 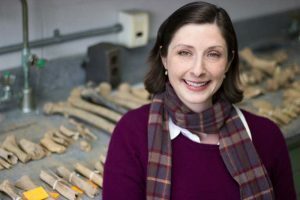 This course allowed Kimberlee to reconnect with her archaeological roots, but, now, she is excited for the new experiences to be made with new forensic programs in progress at Rutgers–Camden. “When I look back, I would like to thank my high school career advisor for the success I have today,” Kimberlee says. When she told him of her plan to study archaeology in college, he laughed at her. “At the time I was offended and for many years his reaction spurred me on. Now that I’m older I realize that his laughter was probably more out of amusement of my self-assurance. Either way, I credit it for leading me towards my current career,” she says. This page was printed from http://fas.camden.rutgers.edu/2017/03/27/we-r-arts-and-sciences-kimberlee-moran/ at 5:27 PM Saturday, April 20, 2019.